A local external drive is a key component of any backup strategy, but it can be hard to find a good deal on a high-capacity drive that isn't tethered to your desk. Today, however, Amazon’s selling the 1TB SanDisk Extreme Portable SSD for $200Remove non-product link, the lowest price we've seen for this drive, which was sitting around $240 earlier this month. 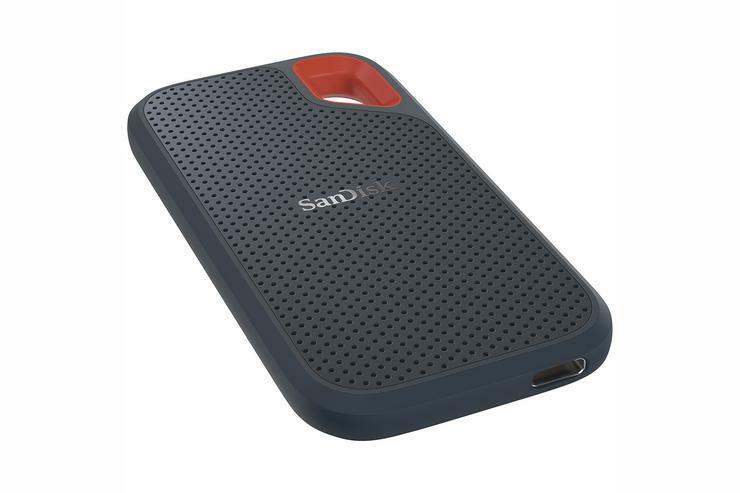 We reviewed the SanDisk Extreme Portable SSD in early September and loved it. It was so good, in fact, that it immediately became our runner-up choice for the “best external performance USB drive” in our round-up of t he top external drives for 2018. Why do we love it so much? For one, it's got a super-speedy USB 3.1 Gen 2 Type C connection. A Type-A to Type-C cable will be fine for PCs that lack a Type-C port though that does mean the performance won't be as good as on a Type-C PC that supports USB 3.1 Gen 2. SanDisk says this drive offers read speeds of up to 550 megabytes per second, and it supports encryption. This drive is also ruggedized, built to withstand drops of 6.5 feet (two meters), and it’s IP55 rated against water and dust. The IP55 rating (IP = ingress protection) means it can resist water that’s splashed against the drive from any direction, but you can’t drop it in a bath or swimming pool. You also need to dry it before use if it does get splashed with water. As for the dust, it has complete protection for the parts inside the enclosure, but it’s not “dust proof” meaning it won’t stop every last bit of dust from getting in.